The sea must be channelled to flow from a high tide level to a low tide level, which is the approach of this paper. This involves creating "ponds" in the walls of which equipment is sited to generate energy from the flow. The system is connected to refrigeration grade tubing that is placed in direct contact with the renewable heat source in the upper 100 feet of the earth's surface. The ground temperature is stable year round, and in the U.S., ranges from 42 degrees at the Canadian border to 78 degrees in the southern extreme. 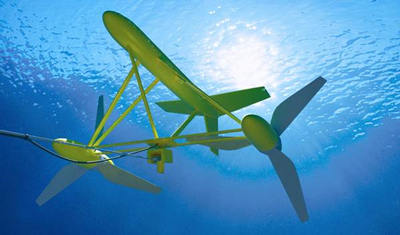 Gulf Stream Turbines LLC (GST LLC) owns a patented submersible hydrokinetic energy technology to be placed in the Gulf Stream Ocean Current 15 to 20 miles off the SE coast of Florida between Key Largo and North Palm Beach, with no harm to marine life. The efficiency offered by radiant floor systems can heat an ample sized kitchen on a 10-hour heating cycle for only 58 cents a day (20 cents for a bathroom). All without releasing any unburned gases or matter that may disturb the environment. Lithium-ion batteries continue to be the technology of choice for small electronics but, as illustrated here, their continued evolution and the introduction of new large format applications require a closer look at the technology inside the battery. 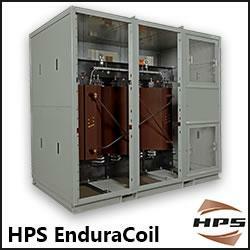 Grid-Tie Power Systems: Do You Need Battery Back-Up? With most power outages only lasting a few hours, the PS1's battery bank can keep your vital loads running until grid-supplied power is available again. Virtually, every aspect of our lives in this digitized world needs energy. Alternative energy solutions are now available and more are on their way. If you buy a set of 5 lights for 20 bucks do not expect it to last very long or hold up in extreme conditions. Research what you are going to buy, ask others and make an informed decision. The main purpose for developing the Thermo Life is to provide energy harvesting for low-power applications where other technologies would prove inadequate or not possible. The results were unanimous, natural and organic products are not only better for the environment, they're better for your lawn! The main advantage is energy efficiency, an incandescent desk lamp draws about 50 watts of power whereas a LED desk lamp will use 2 or 4 watts of power. Thanks to a wide variety of new composting products on the market, home composting is now quicker and easier than ever. Moreover, with many new compost bins and tumblers, there is no need to have an unattractive compost pile in the corner of your yard at all. These days, you can find dozens of unique inventions that can help you enjoy the pleasures of gardening, even under the most unusual and cramped urban conditions. Autumn is the time to break new ground on ideas you have had that you would like to see implemented before spring.